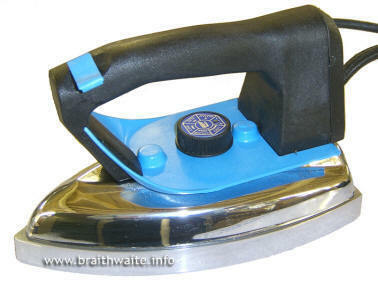 The M28 industrial steam iron is designed for use with all our steam generators. It is comfortable and easy to use, with its design meeting the requirements of prolonged industrial use. As well as its 1kW heating element & useful 225mm long base plate, operators can choose from two different iron handle styles. The standard M28/11 steam iron features a traditional cork style handle and the optional M28/1 model features an ergonomic handle. Both have a well positioned micro switch for easy operation. Built-in thumb micro switch, for easy use. Braided steam hose & electric cable (approx 2.5 metre). Easy to service & repair. Similar to the M28 but features a smaller 200mm base plate. Features a traditional cork style handle.